Jackson Pollock: paintings in the style of "pouring technique"
most Talented painter of the 20th century, the founder of the “drip painting” and at the same time an ordinary man with a difficult character. It thus entered the history of world art Pollock Jackson. The picture of this genius combines surrealism and abstraction, which leave nobody indifferent. 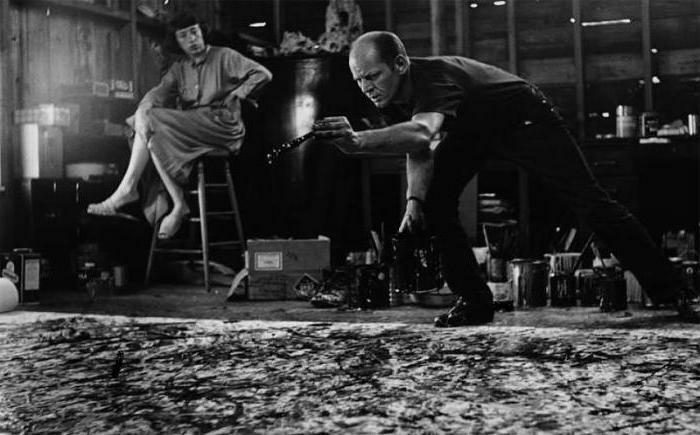 the next celebrity Jackson Pollock was born in 1912 in the small town of Wyoming. His family moved frequently from one residence to another. When they settled in Arizona, at the age of eleven the boy was an unpleasant incident. While playing at the lumber yard each severed part of the finger. Fortunately, this did not stop the guy in the future to devote his life to painting. Reaching eighteen, Pollock moved to new York. Here he is with passion is studying the art and wrote his first work. Thanks to travels through the Wild West in which spent my childhood and youth, Jackson Pollock, his paintings had much in common with paintings by Mexican artists. But when the young artist became acquainted with the works of Picasso and features of the surrealism, his works became more manifest symbolic orientation. 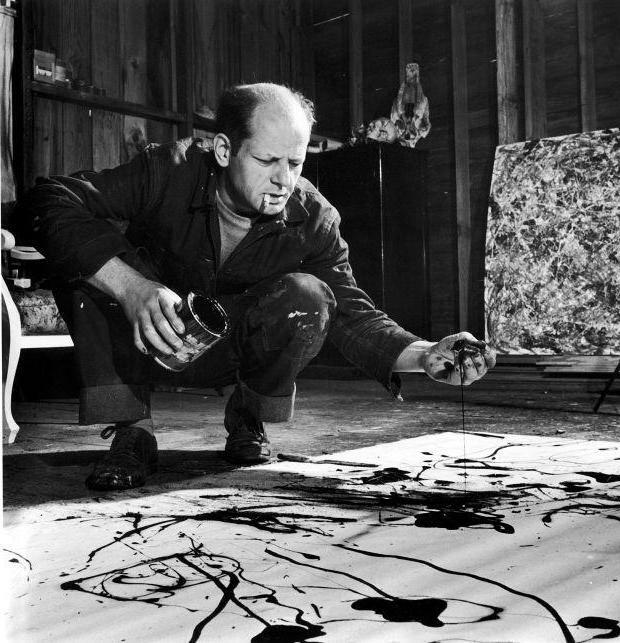 After the death of his father Pollock has passed all the difficulties of lack of money, which could not be reflected in his Hobbies of painting. In 1935 Jackson was lucky-he came under the programme of support for artists, which began to practice in the United States. Now he was supposed hundred dollar monthly stipend for providing his paintings to the state. This income has enabled the young artist to visit the Laboratory for contemporary artistic techniques. It was here that he began his first experiments of Jackson Pollock: paintings was written by the enamel and automotive paints. Some sketches were performed using cans. The development of airbrush equipment and spraying paint on the canvas came to the artist's very soul. unfortunately, the young genius was fed by a great passion not only for art, but also to alcohol. It is because of him in 1938, and falls in a psychiatric hospital Jackson Pollock. The paintings made by the artist some time later, became a kind of update of his creative base. This contributed to the enthusiastic study of the works of Freud and Jung while in the hospital. New knowledge was expressed in the subsequent works of Pollock, which marked the beginning of this genre, abstract expressionism. not Far from new York city, the artist acquired a farmhouse in it, he allocates space for a private workshop. Here written many paintings, the author of which was already known at that time in America, Jackson Pollock. Painting, photo, which depicts the artist in the process of creation, help us to imagine the whole cycle of creation of world masterpieces. Instead of easels Jackson uses a three-meter canvases, instead of brushes-wire, sticks, broken glass and so on. He paints with great speed, trying as possible to reflect on the meaning of the work as soon as possible to transfer to them the contents of his subconscious. Principle of Pollock's technique, reminiscent of the dancing shaman, consisted in the combination of movement of body masters and free-falling to the canvas paint. In the paintings of all the colored spots were distributed in need for a painter fine. Often in his works, the artist used broad strokes, which he created with the help of vigorous movements. In the late twentieth century in America has increased a great interest in the painting style of abstract expressionism, the author of which was Jackson Pollock. Picture of the “Wolf” and “Verbatim figure” became one of the earliest and striking works of the artist with the highest number of positive reviews to critical acclaim. 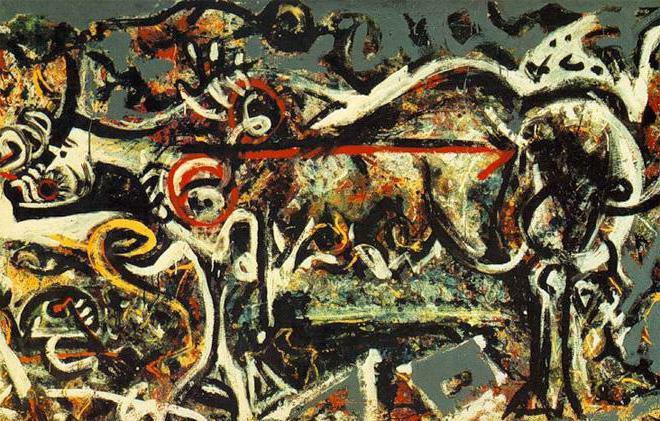 a Worthy place among the most popular paintings of Jackson Pollock is «Fresco», created by order of the American philanthropist and art collector Peggy Guggenheim. One of the assumptions of critics was the fact that the original author wrote on canvas large letters, and then splashed around them with their imagination. The sum insured of this picture in the early 2000-ies was more than a hundred million dollars, but its value is not known for certain today. But that's not the only way a masterpiece, which was created by Jackson Pollock. Pictures with names “the Night pasture”, “Pasiphae”, “Lavender mist”, “Cathedral”, “Depth”, “Blue poles" also stood a lot of money. So, the painting “you Look like a monkey” in 1973 it was sold for two million dollars, and work “the Number 5,1948” in 2006, took the auction for $ 140 million. 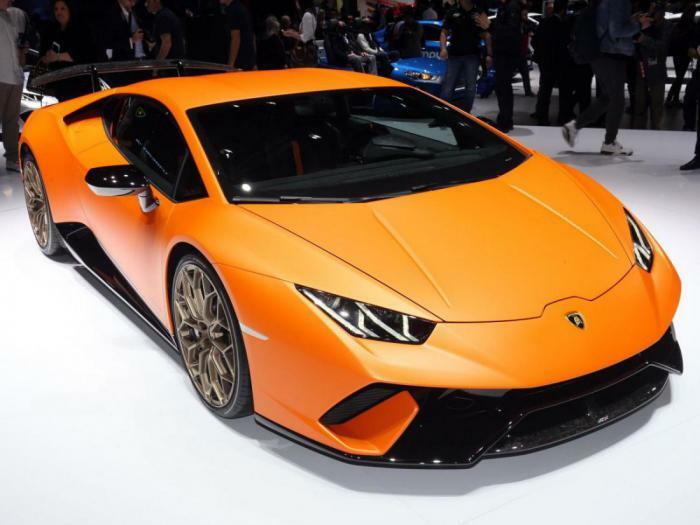 These amounts are a record of the creations of contemporary art. Today, Pollock's works can be found in new York's Museum of modern art, the Gallery of modern art, Tate, the National gallery of Canada, the Metro and many other major museums.